I hit bit of a reading slump/we’ve been enjoying the weather outside a lot and I’ve been in Spring cleaning mode, so I didn’t get as much reading done in April as I did in the winter months. 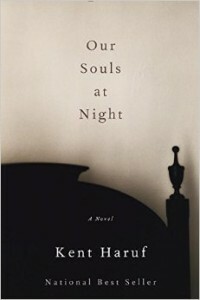 One book I read in April (Pretty Girls by Karin Slaughter), I am choosing not to review. It was too graphic, too dark. I don’t even want to think about it again. My curiosity was the one only reason I finished it, I wanted to see if the main characters survived. These were the 1st and the last books I read in April, it’s hard to remember where one ends and the other begins. These are the 2nd and 3rd installments of The Lunar Chronicles. Scarlet (Little Red Riding Hood) and Cress (Rapunzel) continue with Cinder’s (Cinderella) story to save Prince Kai from marrying Queen Levana. I felt like both, at times, did drag. 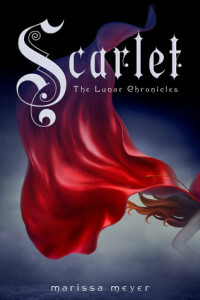 Scarlet meets Wolf, they venture to try to save Scarlet’s grandmother, who has been kidnapped by Queen Levana’s forces, as they believe she has information on the missing (assumed dead) princess, Princess Selene (Queen Levana’s niece). Of course they fall in love, there is betrayal and then Cinder swoops in and basically saves the day. 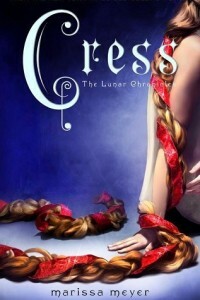 Cress is a Lunar shell stranded on a satellite to do Queen Levana’s bidding. She gets in touch with Cinder’s ship and a plan is made to save her. But it goes wrong, Cress and Captain Thorne (who broke out of prison with Cinder) crash land on Earth. Eventually everyone links back up with Cinder and Prince Kai is kidnapped. There is way too much going on in Cress and I found the events far fetched at times. That being said, the story is still intriguing and keeps you rooting for the characters to overcome evil (and to fall in love). I absolutely loved this book. It’s very short but it’s so…poignant, so human. The two main characters, Addie and Louis are in there seventies, long time neighbors and acquaintances. One day, Addie shows up at Louis’ door and asks him to sleep with her. Don’t misunderstand. She means exactly what she says, she wants someone to sleep next to. They have both lost their significant others many years prior. She is lonely, she wants the warmth of a body next to her. Such a simple desire, that many of us probably take for granted. Often times, I think we (the younger generation) think that the older generation simply don’t understand us, but this book really made me feel like it’s us that don’t understand them. Addie’s son finds their arrangement to be inappropriate and demands that Louis stops coming over at night to sleep with his mother. This, I found outrageous. All people long for companionship, a warm body. Do we forget our older generations too easily? Ship them off to a home and let them become lonely? This book was just so real, the people were so real. The dialogue was real. It felt very tangible. I again fell in love with this book (just as I did the first in the series). 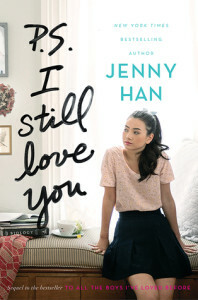 Lara Jean (a high school student) and Peter have committed to be in a relationship, which of course (being in high school) isn’t without it’s complications. Peter’s ex-girlfriend still hangs on to Peter and a boy from Lara Jean’s past makes a reappearance in her life. They both grow to understand that relationships aren’t easy and that communication and honesty are hard but key in any successful relationship. It’s a sweet coming of age story and makes me reminiscent of my young loves. I don’t know why, but I keep coming across books (unknowingly) that deal with suicide. Cody has recently lost her best friend Meg, who chose to commit suicide. Cody is left with so much guilt, she had no idea Meg was depressed or suicidal. There had been some distance between them since they had graduated from high school and they had not been in constant contact. Meg’s parents ask Cody to go to Meg’s college to retrieve her things and Cody comes across some emails Meg had not been able to delete from her computer. Through this, Cody discovers that Meg has been on a suicide support (supporting a person’s right to commit suicide) and interacting with someone who inadvertently encourages Meg to commit suicide. Cody eventually realizes that what she is hoping to do is find someone else to blame (besides herself, besides Meg) for Meg’s death. 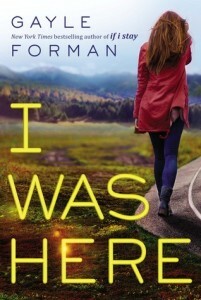 Through this journey Cody forgives herself, forgives Meg and comes to a greater understanding about what Meg had been dealing with for years. This is a great book for young adults (older high schoolers too) to read. This is such a misunderstanding about depression , we hide it away because it’s we feel embarrassed, we don’t treat it, to help prevent it’s repercussions. Or we miss the signs in others. It puts a face on suicide/depression–it happens to normal, strong people . With that being said, it wasn’t the most exciting book, but the message outweighs the missing thrill. If you or someone you know is battling depression or having suicidal thoughts, there is help for you, you are not alone. If you’re reading this and you need someone, please leave a comment/contact me. You can also visit American Foundation for Suicide Prevention.